The pusher is back in town and he plans to face Jaffa’s darkest corners once again! Next Wednesday (28.12) at the Anna Loulou Bar, SugaPusher and Finkelstein will play 2 completely different DJ sets, one after the other. 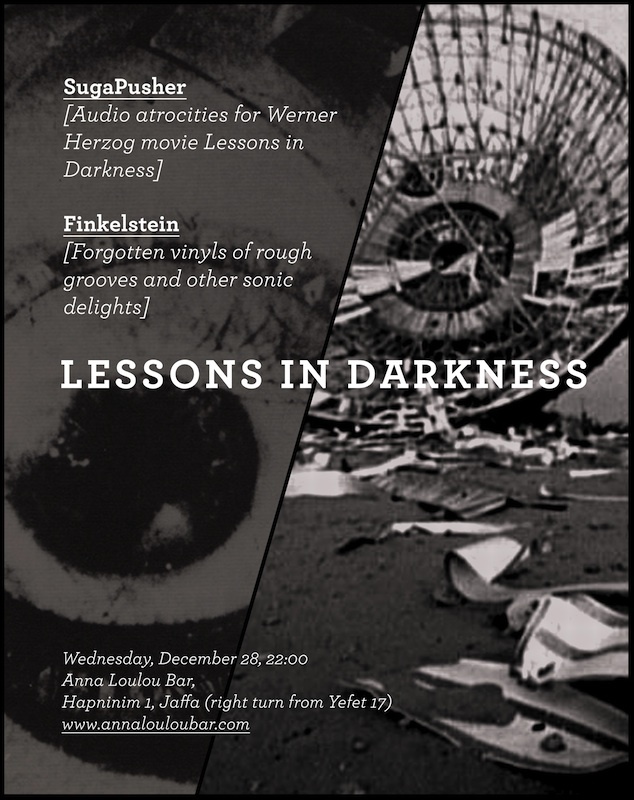 SugaPusher will accompany Werner Herzog’s film, Lessons in Derkness, with a mix of fitting audio atrocities. Finkelstein will play some rough groove delights, dug from the inner zef of his old vinyl collection. Anna Loulou Bar, Hapninim 1 (right turn from Yefet 17), Jaffa.